WE BELIEVE IN THE POWER OF CREATIVE ACTION TO CHANGE THE WORLD. ★The Yellow Days Festival is our approach to the humanitarian crisis. Activism meets hedonism. A cultural festival where we gather all the cultures currently living in Athens; the refugee community, greek locals, and humans from around Europe. Coming together to highlight our similarities and celebrate our differences. ★We use food, art, music and environmental awareness as the tools to connect and heal. ★The first celebration of The Yellow Days Festival was on the island Leros, Greece in the summer of 2017. Over 4 days across two sites people from 35 different nationalities and cultures curated an open environment with a diverse programme of art, music, food, film and education.
! Create a platform for all the collectives, tribes, movements, and communities to connect and collaborate.
! Use art as tool to empower and heal.
! Environmental awareness; educate, inspire and take action.
! Raise funds & first necessity aid for organisations in need, such as: Pikpa refugee camp.
! Showcase cultures and traditional activities.
! Create a positive impact proving the power of people when coming together. sets, passion and experience as an authentically diverse collective, we created a movement that focuses on connecting humans through our commonalities. We provide a celebratory safe-space for cultural exchange, learning and growing together. 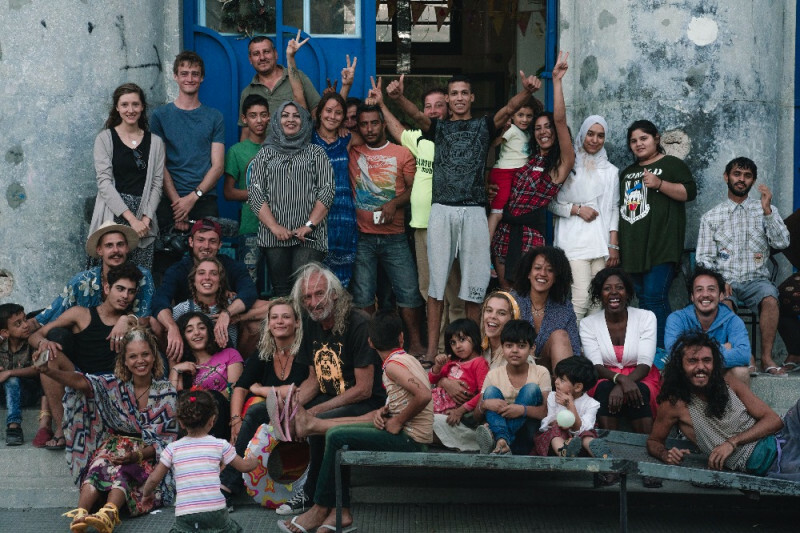 We achieved this at the Yellow Days Festival 2017 (YDF2017), in Leros, where we curated a four-day cultural festival together with the displaced people, the local Greek community, together with creatives, artists, musicians and passionate humans from all over the world. The festival is self-funded by the events and parties we host and produce in London. Every event is a smaller representation of the actual festival. 1. Create an event and/or party. 2. Generate & save funds during events/parties. 5. Generate income during the festival. 6. Donate the festivals income to different organisations collectives and communities; Pikpa refugee camp, Blood Bank of Leros Hospital and the yellow pot in order to continue the movement. THE WORLD MORE THAN EVER IS ON THE NEED TO MANIFEST THE POSITIVE SOCIETY WE ARE ALL AIM TO LIVE IN. WE ARE CREATING A POSITIVE IMPACT PROVING THE POWER OF THE PEOPLE WHEN COMING TOGETHER. Please contact: nina.alonso@yellowprojects.org for more information or participation at The Yellow Days Festival.